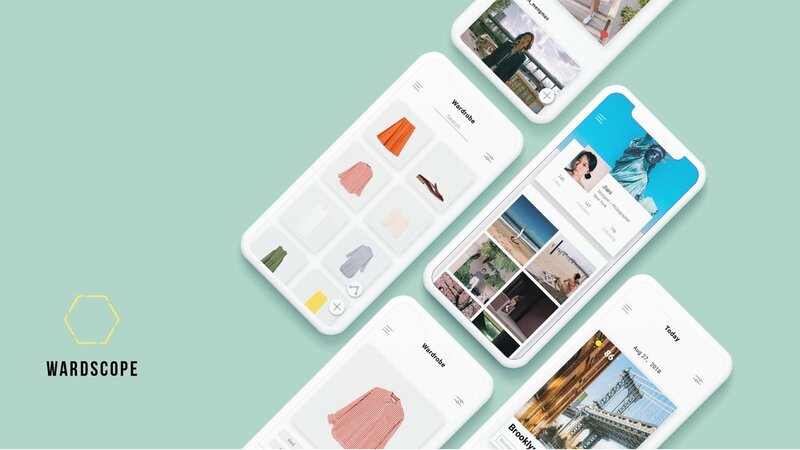 Design Challenge: As one of Yelp’s interaction design intern candidates, I asked to take a design challenge about Closet Catalog: create an app that streamlines the process of planning what to wear and transforms what used to be a chore into something more enjoyable. With limited time, I need to provide notes, sketches, research that helped shape your thinking and High fidelity work of prototypes and screens. WARDSCOPE is an app that provide user an easier solution to catalog their closet as well as add a little bit more fun to this “daily ritual” by recommending fascinating experiences based on users’ outlooks. / Interview: I did three formal interviews and three quick interviews. I asked what's their experience of the closet catalog, what's their experience of clothes choosing and what they care about most when they use a clothes-related app. The goal of the interviews is to find pain points and turn them into design opportunities. 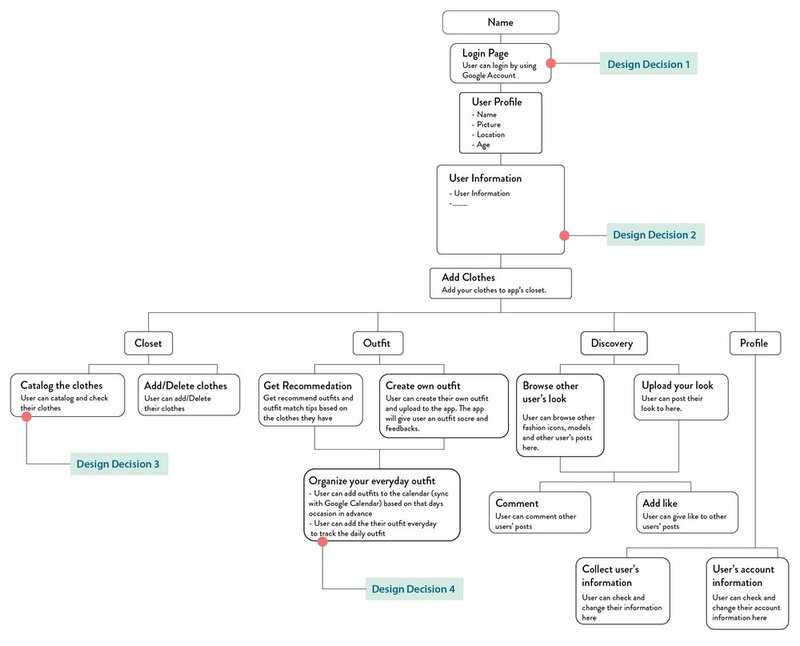 / Mind Mapping: interviews helped me understand users’ pain points during the process of closet cataloging, I used mind mapping to clear up my interview information as well as to find out design opportunity. Quotes：quotes helped uncover insights / design opportunities. Persona: I created two personas based on my interviewees. This process helped me understand the target users’ features and pain points. Insights / Design opportunities: design opportunities are users’ purpose of using the app. My map of those opportunities’ inner connection uncovered the core needs of the users. Theory of Change: to uncover the key problem is one of the most important goals of the research, theory of change is a useful but straightforward exercise that led me to the key problem. Design Principle: after six interviews and several exercises, I came up with two design principles under the request of the design challenge and my research conclusion. Clothes Catalog Map: With the purpose of figuring out which the best to catalog clothes, I cleaned up my wardrobe, below is the map of my clothes catalog process. Competitor Axis: in the meantime, I explored relative apps. The two design principles become the two dimension of the Competitor Axis. Most apps that help users catalog clothes are not fun. There are two apps more enjoyable than others; these two apps belong to the game category which is not very functional. Brainstorm: I started to brainstorm ideas based on the insights and possible solution I got form the firsthand experience and the app exploration. The scope of brainstorm is among two design principles.